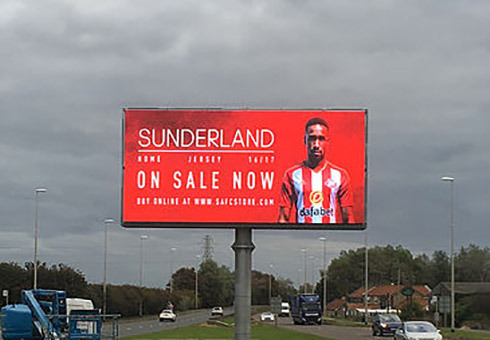 South Tyneside Council offers two digital advertising screens which provide an unmissable opportunity for businesses to promote themselves to residents and visitors of the Borough. Our double-sided A194 screen is a prime location for motorists. This busy link road connects South Tyneside through Newcastle and Gateshead, as well as linking those heading from Washington and the A1 to the Tyne Tunnel. The digital sign also sits at a well-known point along the Great North Run route. We also have two LED screens located on South Shields' main shopping street, either side of the metro bridge. This pedestrianised, Town Centre location can support moving or static adverts to aid in the promotion of your business. Subscribe to our email newsletter and stay up-to-date with latest offers and news about Asset Management services.